Don’t get caught in denial! Justify acquisition of new licenses based on solid information provided by OpenLM. Don’t get caught in Denial! OpenLM present solid usage data, justifying acquisition of new licenses. Provide real-time usage data according to license features and users. Create a solid overview of your organization license usage, that will present usage trends and needs. Reduce that gap between total amount of purchase licenses and actual usage. Justify acquisition of licenses based on concrete need. 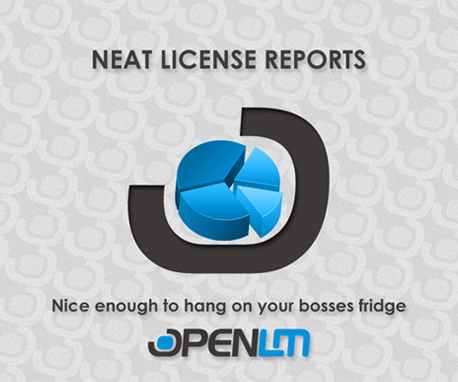 OpenLM - Stretching your licenses to their limit.